NIKKEI 225 daily; Comparing the impact of dissolution of the House of Representatives Part 4; 5 business days implies steadiness or falling. 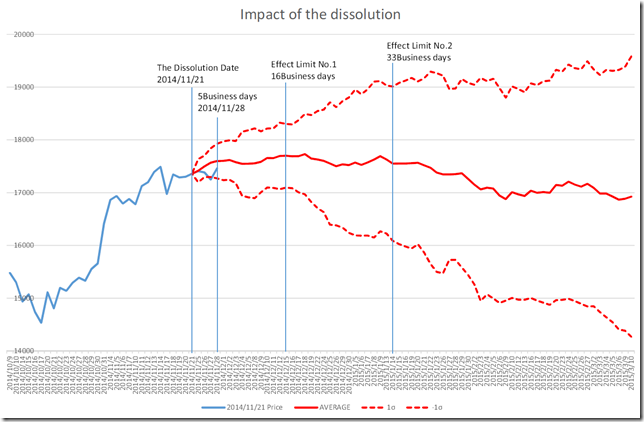 Nikkei newspaper article in 11/19/2014 referred to “Impact of dissolution in blind spot”. In this article, they referred to 13 times dissolution of the House of Representatives. 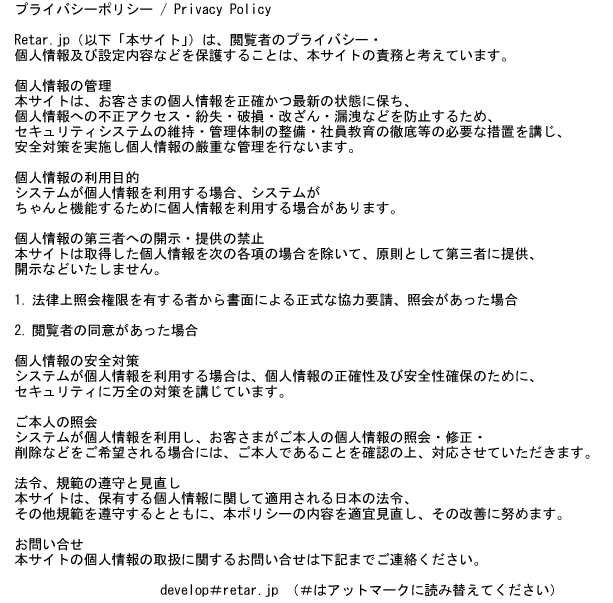 We verify using our Retar INDEX. 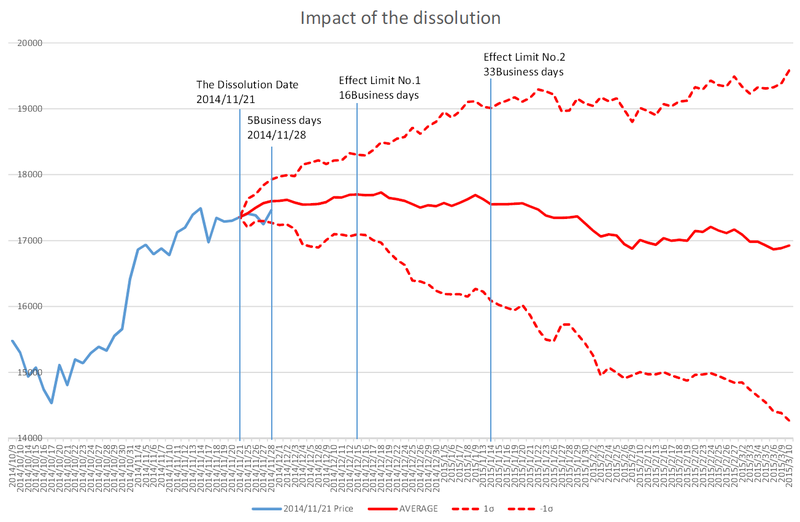 We reported “Applying this to the past price chart, the first 5 business days from dissolution is very important. Going over one sigma in the first 5 business day will mean the start of the bull market” in 11/22/2014. In latest 5 business days, the market price was lower than average; this will suggest steadiness or falling tendency. Rally market will be difficult. NIKKEI 225 Weekly; “HAGURO” No.10(14) formation; rally market will be first scenario but upper shadow in next week will be trend change. 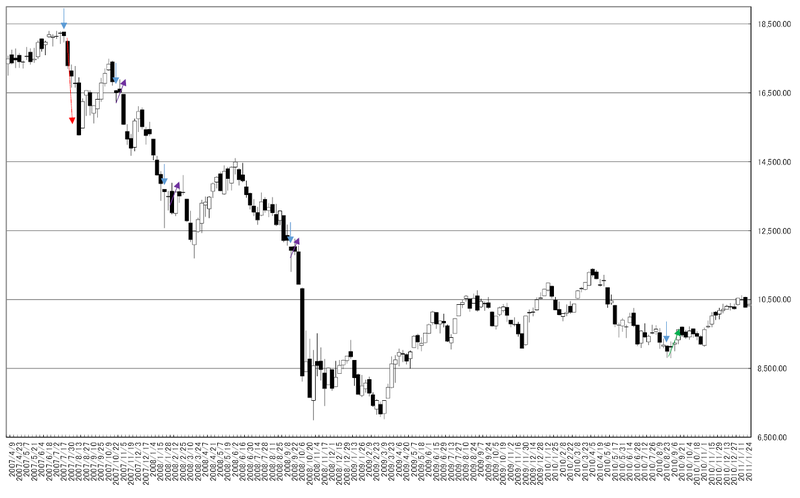 We reported “TOPIX (Tokyo stock Price Index) and N225 Daily P&F; N225 was collapsed and TOPIX is still dip; the recent condition is close to 2004” in 10/14/2014. 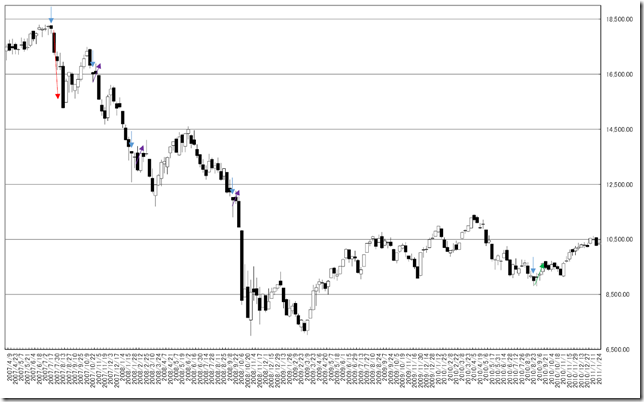 And we reported “NIKKEI 225 Weekly; Trend line; Long term Bull market must have already ended” in 10/15/2014. And more, we reported ”TOPIX (Tokyo stock Price Index) Daily; Comparing the impact of dissolution of the House of Representatives; starting dash is weak and it will be bearish” in 11/28/2014. The market bull power is close to end and now seems to be the bull market end. 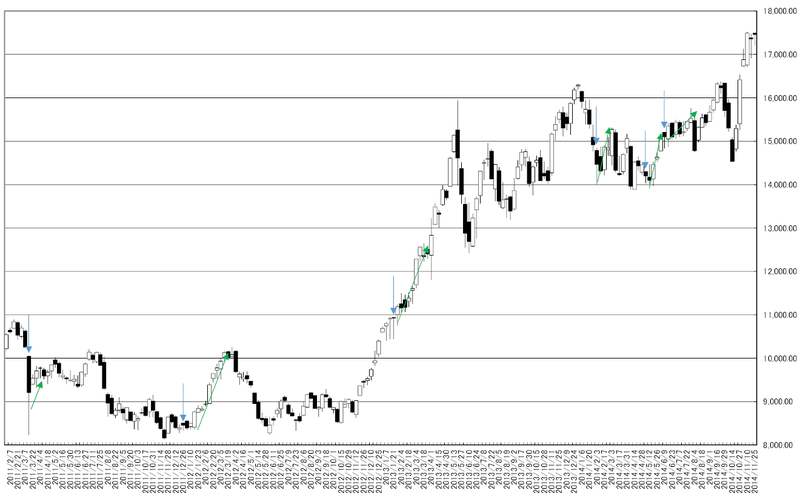 In this week, the market price formed “HAGURO” No. 10(14) formation. In past 400 weeks, it appeared 12 times. If the market will not keep bullish, this will be the signal of market condition change. 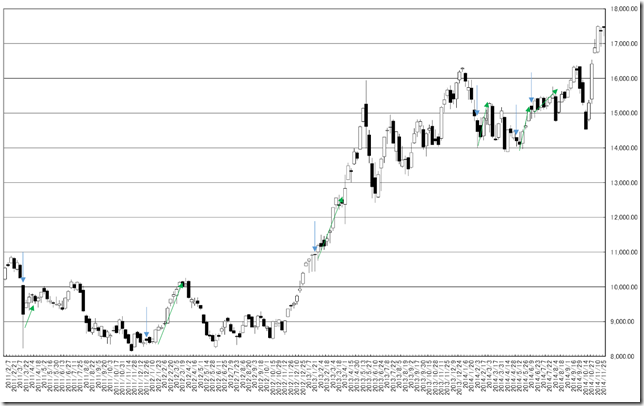 And this formation became the start of the bearish market; the most impressive was 07/17/2007 week.